Less than 100 years ago, eating organically was the norm. Processed foods were rare with family farms and local produce supplying the bulk of our meals. Today, we have to make careful choices about what we’re consuming. You may already be in the habit of reading food labels for yourself, but what about for your pup? Many pet parents don’t take the opportunity to double check what’s bound for the food bowl, and it can spell disaster for your doggy’s diet. Wondering if holistic and organic kibble is worth the price? These seven benefits of all-natural dog food are a great reason to budget a bit more. What Makes A Dog Food ‘All-Natural’? It only takes one or two ingredients for a dog food to go from all-natural to non-organic. A pinch of animal byproduct, sprinkle of synthetic chemical, or an ounce of anything artificial and it’s instantly disqualified. Reduced allergies. Food allergies aren’t just common in humans; man’s best friend also suffers at the hands of a few common ingredients. When you say bye-bye to byproducts, low-grade grains, and processed portions there’s far less chance of your pet experiencing an allergic reaction. Improved skin, coat, and teeth. The more nutrients they take inside, the more it will show outside. Not only will it add luster and shine to their coat, all-natural dog food can also prevent fatal gum disease in dogs. Fewer vet visits. You don’t need us to tell you that vet services are expensive. The more health conscious their diet, the less trips you’ll have to make outside your regular checkup. Better breath. No matter how much you love your pup, bad breath is a bummer. Want to banish your dog's bad breath? Chomping on all-natural dog food can dislodge bacterias that lead to a stinky snout. Increased digestive health. A regular pup is a happy pup. As an added bonus, the more nutritionally complete their dog food, the more you can prevent painful gas bubbles from forming (and escaping) their digestive tract. Faster fill-ups. 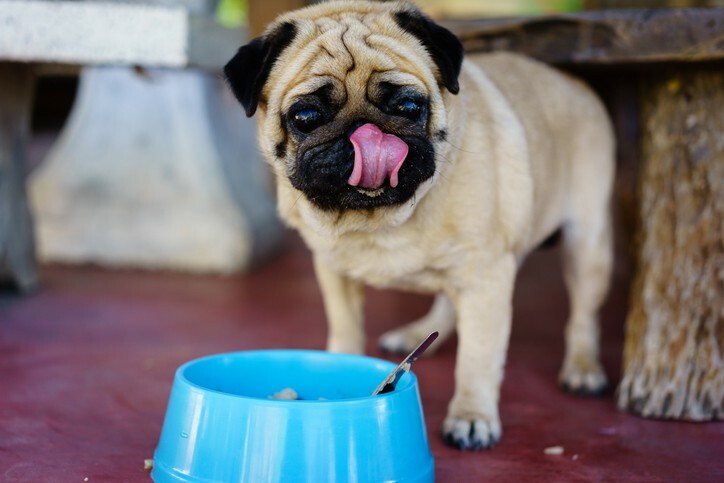 The more nutrients you provide your pet, the more satiated they’ll stay. A high-grade protein will fill Fido up fast, causing him to eat less at each setting. This means you’ll have to replenish your supply less often, too. Consistent, healthy weight. The dangers of doggie obesity are numerous. The healthier they eat, the more energy they’ll have to run, play, and keep the weight off. When looking at labels, steer clear of filler ingredients like starches or sugars that can pack on the pounds. Lengthened life expectancy. You probably want your pooch to live forever! (Or at least as long as you do.) While all-natural pet food can’t make any sweeping promises, it has been shown to boost animal immune systems and increase their longevity. Essentially, maintaining a balanced doggy diet starts with eating clean. While all-natural dog food may cost you a little more upfront, it’s likely to save you in the long run. Discuss the change with your vet and be sure to slowly switch out food over a two-week period to avoid digestive upset. When in doubt, remember that high-quality food equals a high-quality life! Meet Mitch Felderhoff. 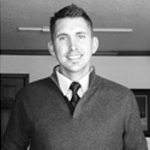 Mitch joined his family business in May of 2007 after graduating from the University of North Texas. After several years working in sales, Mitch took on the responsibility of marketing, new product development, and was named Vice President of Muenster Milling in 2009. With the company now firmly in the 4th generation of Felderhoff’s, Mitch’s commitment to excellence is stronger than ever. When Mitch isn’t working on extruding dry pet foods, he is a husband and loving father of three boys.